For over 14 years Jaguar West Columbia has been your home for all things Jaguar. We want to provide you with everything that you need. Whether you are shopping for a new XF, XJ, or F-TYPE, looking for the perfect pre-owned vehicle, or simply searching for Jaguar parts or service, we will be here for you. We provide more than just customer service here. We treat every customer as an honored guest in our home. 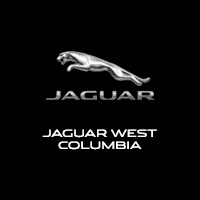 When you come to Jaguar West Columbia, you will feel welcome, and you will have your needs tended to. Our dealership and showroom are conveniently located right here in Clarksville where we can serve all of Maryland including Columbia, Ellicott City, Baltimore, Silver Spring, and all the surrounding areas. Come to Jaguar West Columbia today, and remember that nobody beats a Jim Coleman deal!